Legislative Alert: AB 968 Shifts Costs To Individuals from HOAs! The potential for abuse for all condos including Palos Verdes townhomes and condominiums is rampant with this bill. 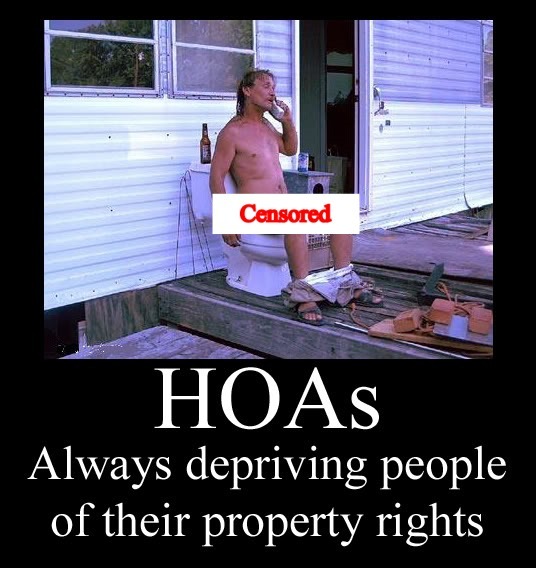 With HOAs strapped for cash and many suffering with substandard repairs/construction this pending legislation shifts standard HOA costs to unwitting homeowners. California Assembly Bill 698 will allow Palos Verdes Townhomes and Condominiums HOA boards to expand, redefine and concoct their own rendition of what “exclusive use common area” is and then assess the owner to maintain, insure and assume liability for it no matter how often or the costs. The bill rewrites Civil Code section 4775 , which directs who (currently the entire HOA) pays to maintain, repair and replace in various areas at residential developments governed by homeowner associations. •”Common area” is the part of the property the homeowner association administers – a roof, pool or other area that serves the entire development. •”Separate interest” is the area, such as the inside of an individual town home or condo, that the owner is responsible for maintaining. •”Exclusive use common area” is something that goes with or is attached to a unit – the law uses the term “appurtenant” – such as a patio, which serves one or more owners but fewer than all the owners. The owner will now be responsible for maintaining that area. But here’s the problem: The bill would let the association governing documents define which items or actions constitute maintenance and compel the homeowner to repair and replace. Once encumbered with these new payment obligations, it’s likely affected homeowners won’t have a viable opportunity to reverse the vote. Failure (or inability) to pay can result in fines assessments against owners in foreclosure (or forced sale). With no per se definition of “maintenance,” a board is free to apply a broad interpretation of what it wants “maintenance” to mean. 1) Owners voting together as a block to prevent boards from redefining “exclusive use common area” and/or “maintenance” and expanding titleholder monetary obligations. 2)Buyers should also pay extraordinary attention to property surveys and boundaries detailing exclusive use common areas, including governing document definitions.